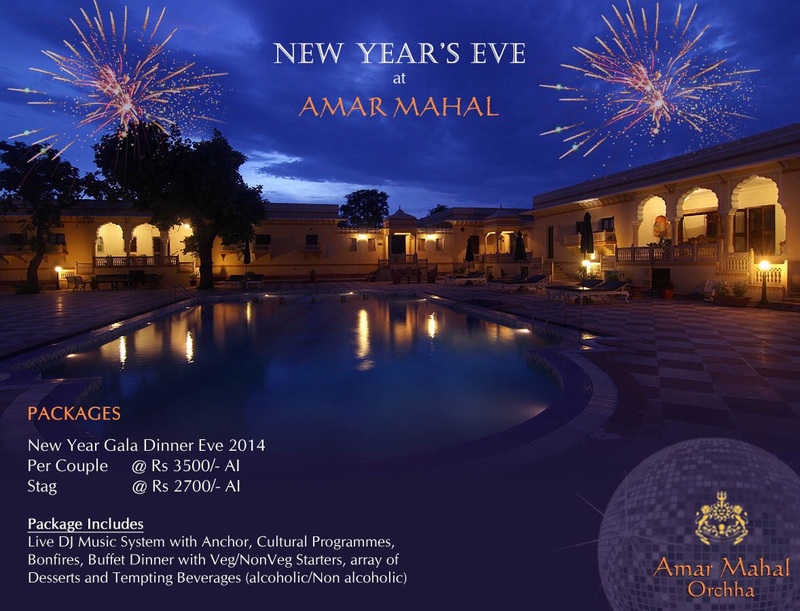 Celebrate this New Year Eve in the majestic surroundings of Amar Mahal Orchha. Revel in the land that expresses the lasting legacies of the Bundela Era. 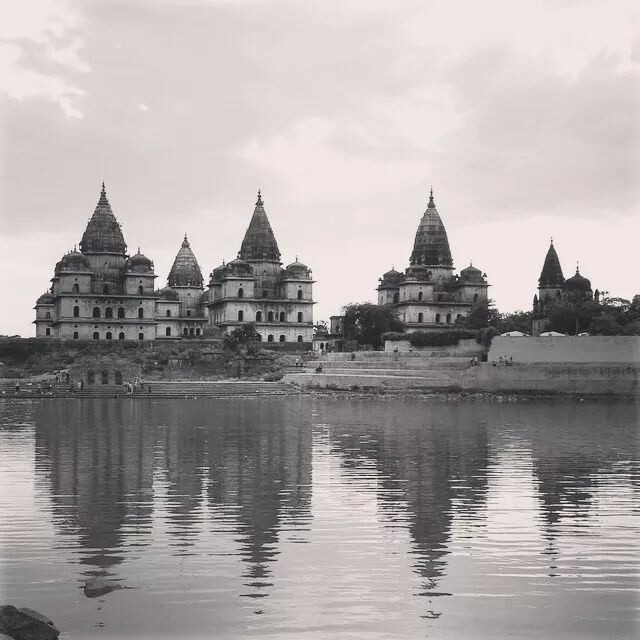 Located in the Bundelkhand region of Madhya Pradesh, Orchha is almost in the middle of the tourist sites of Jhansi and Khajuraho. 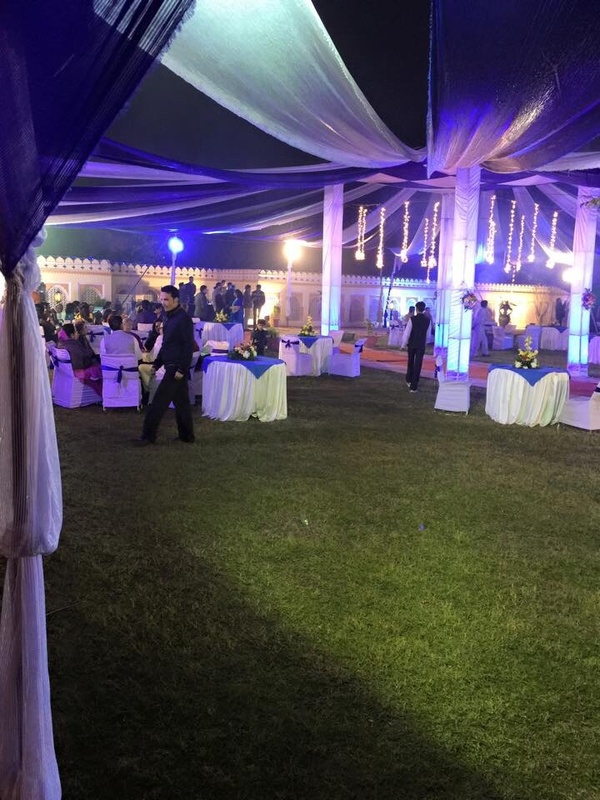 Enjoy the poolside DJ night at pool with Gala Dinner and flavorsome Liquor on New Year Eve (31st Dec) and savor the delicious platter of veg and non veg snacks followed by succulent buffet Dinner and almost five kinds of desserts. 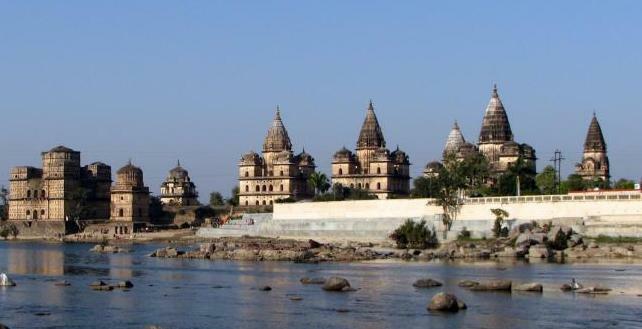 Orchha is an ancient historical town hidden almost for centuries from the others and commands scenic views of its rugged surroundings and incredibly huge cenotaphs. 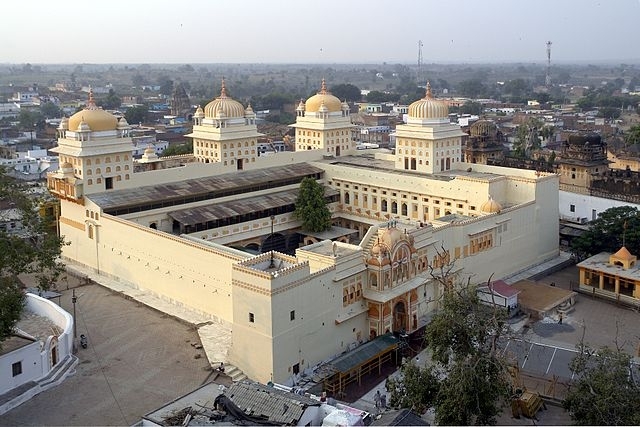 Amar Mahal- the fascinating heritage hotel, once the house of the Rathores of Bundela era, is an ideal base for exploring the grandeur of magnificent architecture and natural beauty of Orchha . 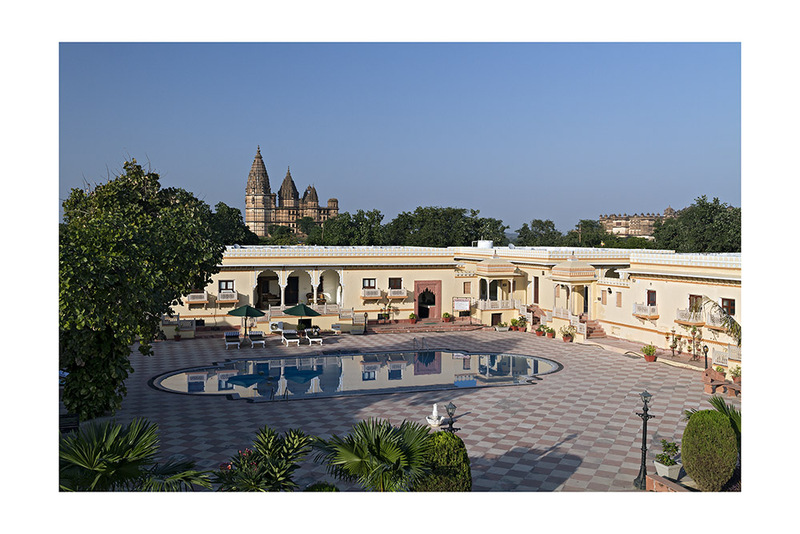 Amar Mahal Orchha is an upscale property of heritage importance and offers excellent facilities. Surrounded by natural beauty, each room presents an assortment of extravagance and comfort. To bid adieu to the old and ring in the new away from big-city chaos, check out this attractive New Year’s Eve package at Amar Mahal Orchha!! 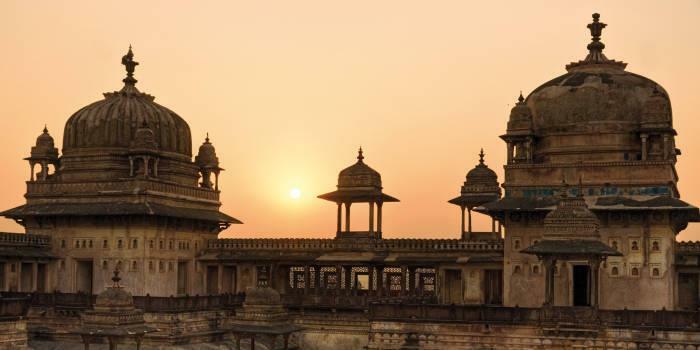 The cenotaphs popularly called chhatris on the banks of River Betwa are the memorial cenotaphs of Bundela kings and their families. This is the only place where you would find the cenotaphs of Hindu kings. These mammoth tombs are typically built in a variation of tombs. Most of these cenotaphs are three storied and built in Panchayatan (five dimensions) style with peaks built in Nagar style of temple architecture. There are palaces, temples and courtyards dedicated to the Bundela kinsman Hardaul, who committed suicide to prove his innocence in an alleged affair with his elder brother’s wife. It is surprising to see that many Hindu women of the town come to pray and worships in front of his temple everyday from morning to evening. It is believed that anyone who prays to Hardaul, gets their toughest wishes come true. 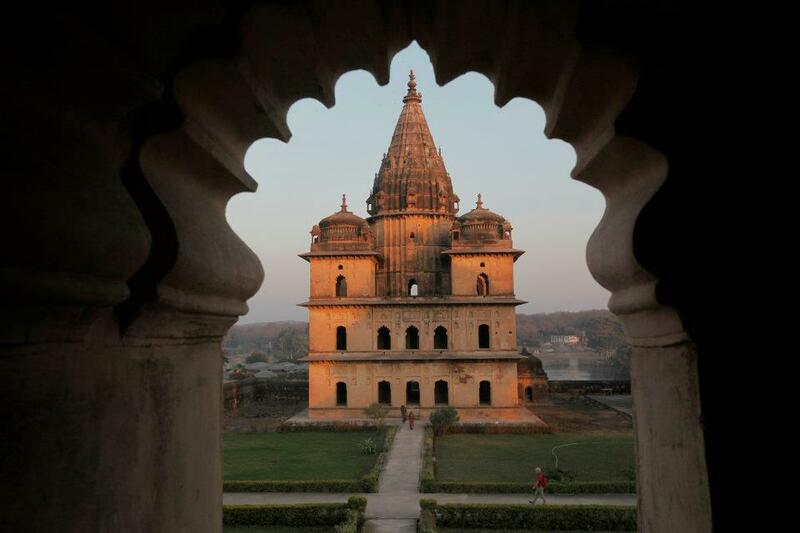 Orchha is a town that unfolds many such historical and legendary tales of the past and its grandeur. 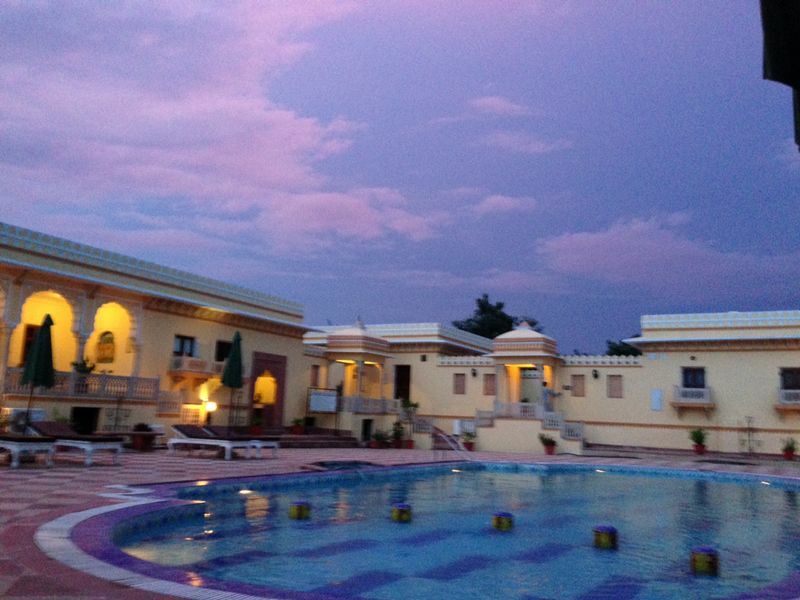 Come down to the incredible hidden town and get mesmerized by the magnificence of this little hamlet in Bundelkhand. 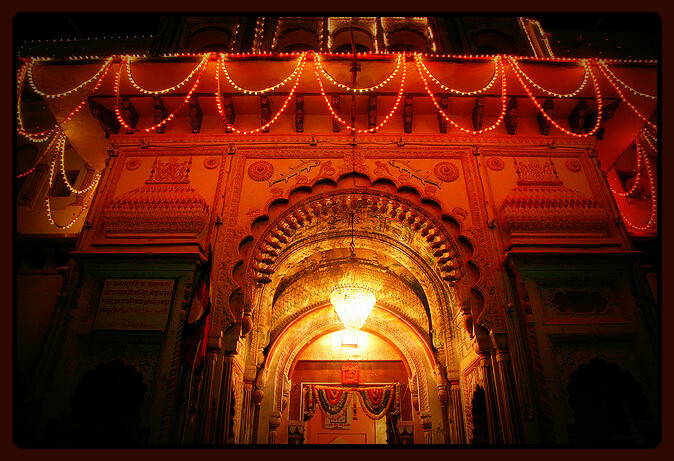 Raja Ram temple with its iconic evening Aarti in Orchha stands out among all the other Hindu pilgrimages. 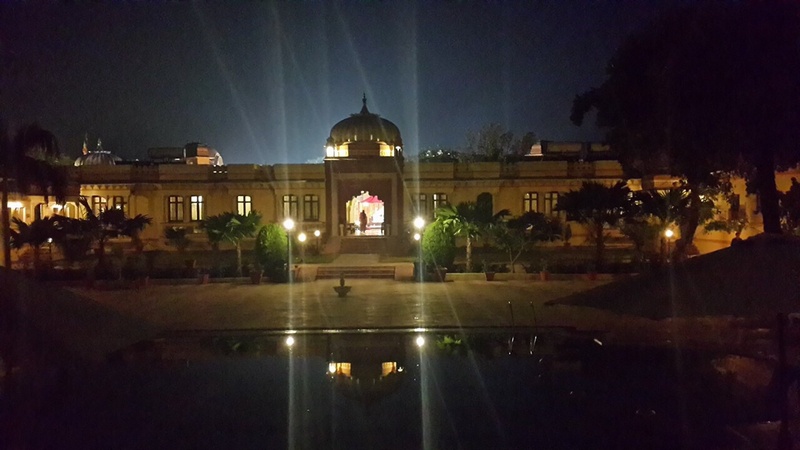 Here Lord Rama is revered not as a God but as a king, contrary to what the name reflects it’s a Palace not a Temple. The Temple may seem one of the innumerable sanctified sites, but it stands out among the other Hindu pilgrimages for its mesmerizing legends and history. Built on a square base, the temple has an almost entirely plain exterior, relieved by projecting windows and a line of delicate domes along the summit. But the interior of the temple, actually a palace, is just spellbinding. Tourists from across the countries visit the Ram Raja temple not just for its religious beliefs but the beauty in its architecture and magnificence of its evening Aarti “Prayers”.